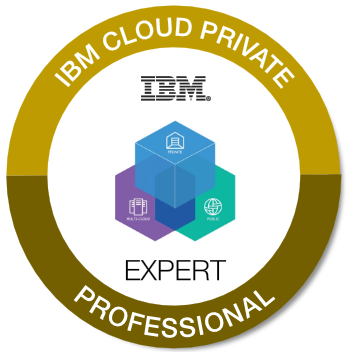 This badge earner has acquired the knowledge and skills necessary to demonstrate core technologies of IBM Cloud Private. They will have the ability to architect, install, configure, administer, and maintain IBM Cloud Private environments. They have also shown the ability to build/deploy applications in IBM Cloud Private and demonstrate capabilities, use services from the service catalog, and perform service management and problem determination on IBM Cloud Private. For IBM business partners earning this badge, send screen captures of these 3 badges to Acclaim to CloudBP@us.ibm.com.